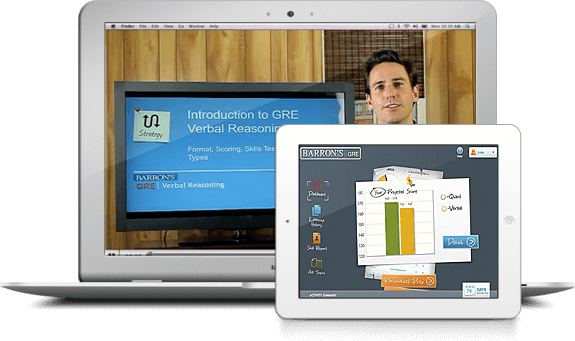 Barron’s GRE Prep course is a low-cost option for students looking for a more condensed online course. 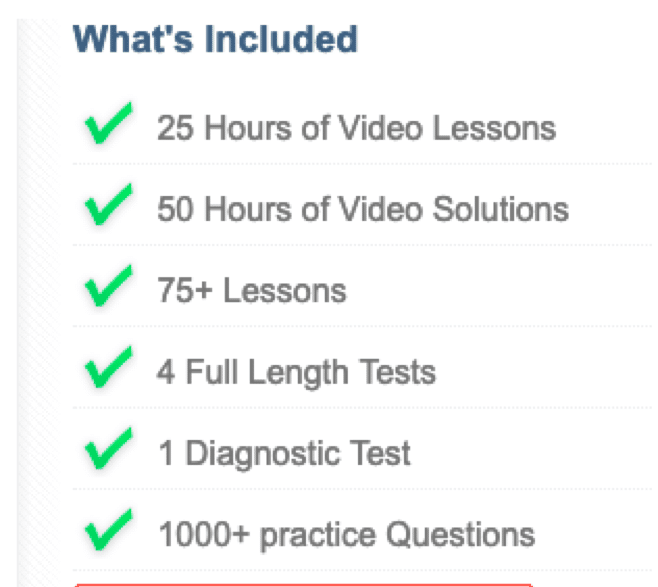 For one low price, Barron’s offers a diagnostic test, 25 hours of video lessons, 50 hours of video solutions, 4 full-length practice exams, and around 3,000 practice questions. Although it doesn’t quite stack up to other top options like The Princeton Review or Magoosh, it’s a pretty good bargain and you can try the basic version of the course for free. At $99, Barron’s GRE Prep course is very affordable, although there is only one option, and it’s entirely online. As soon as you sign up, you can take a diagnostic test, watch video lessons and explanations, try your hand at thousands of practice questions, and take 4 full-length practice exams. A daily tracker on the course dashboard provides a countdown of how many days you have until the exam to keep you on task and motivated. 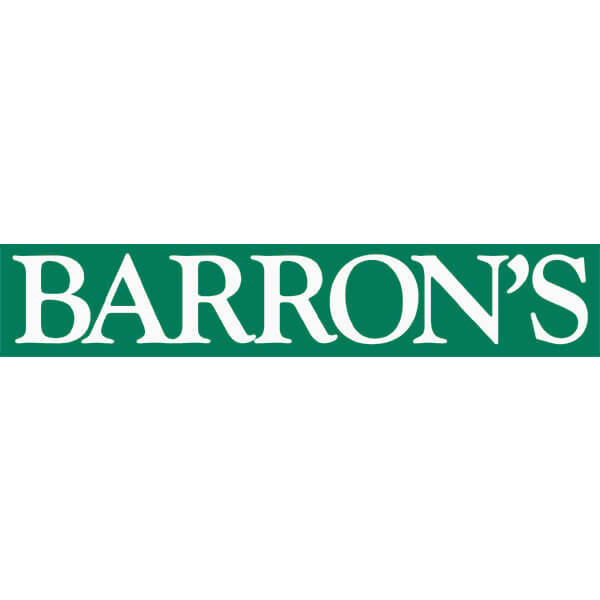 You can access your study profile from your phone, computer, and your tablet through the web, and Barron’s will email you personalized tips and test questions of the day if you want them. The company’s adaptive learning technology pinpoints each student’s skill level and provides a personalized road map to achieve a good score on the GRE. The learning algorithm adjusts as the software monitors your progress and current skill levels and recommends study lessons based on your performance. The software also calculates your projected GRE score as you progress through the course, while the personalized dashboard shows your most recent activity. After you complete the diagnostic test, you can see your results broken down by section and watch solution videos for all test questions. The Skill Report features an analysis of your performance based on your diagnostic test and practice questions. Barron’s GRE recommends that students watch the ten lessons with the greatest potential for a score increase, but all lessons can be accessed at any time through the “All Topics” tab. Adaptive technology has become pretty standard across all of the top GRE prep courses, so Barron’s is not alone here in offering this feature. If you are looking to take full advantage of adaptive lessons and interactive videos, consider having a look at ExamPAL, whose unique PALgorithm latches onto your particular strengths and weaknesses and identifies your best method of approaching each GRE questions. Barron’s has compiled video lessons from experienced instructors to help guide you through all aspects of the GRE, although the video production and graphics feel extremely dated. Detailed video solutions are also available for all homework and test questions. Each video lesson is taught by an expert and recommended for you based on your skill profile. Videos last about 10 minutes and target a specific GRE skill. The Premium course includes 3,000 practice questions, which is a competitive number when compared to some of the other options on the market but doesn’t stack up to the very top, like Kaplan, The Economist, and The Princeton Review who all have more. You can get a basic account for free for 12 months. It includes a diagnostic test, a personalized study plan, a GRE Skill Report, 6 video lessons, 1oo practice questions, and 100 video solutions. There are no full-length tests in the free course. Students can upgrade from the basic version to the premium course at any time without losing any of the data or practice work they’ve already completed, as the login and password remain the same. If mobility is something that you feel is critical to your test prep, consider looking into my reviews of Magoosh and The Economist GRE Tutor, both of which offer in-depth mobile apps that bring each company’s full arsenal of instructional and practice resources to your device. As we have noted, Barron’s GRE only comes in the form of an online course. There are no live, interactive sessions with tutors or instructors if you want a group experience, personalized instruction, or the structure of regular, live sessions. If you have additional questions or need a tutor to coach you, another course will probably be a better fit. Look into my reviews of The Princeton Review and Kaplan if you think that live instruction is going to be right for you. The Princeton Review offers a larger choice of class times and locations, while Kaplan gives slightly more instructional time for your money. One of the main reasons students struggle with the GRE is that it takes on a different format than most tests they have faced in the past. Although Barron’s utilizes adaptive technology to help tailor your coursework to your skillset and your needs, it does little to explain the adaptive nature of the GRE itself or teach the strategies necessary for tackling it. Other courses like The Economist have full lessons devoted to understanding what to expect from the GRE in terms of scoring, how it will react to your correct and incorrect responses, and what approaches help you turn its oddities into advantages. Given that this basic, no-frills course is only available online, it is best for self-motivated learners who are not interested in a comprehensive, time-consuming course with live options. The low cost makes Barron’s a fit (but not the best fit) for students who are relatively confident in their skills, but still, want access to practice questions, video lessons and a few full-length exams while on a budget. Students looking for a basic review in a self-paced online course at a low price can consider Barron’s GRE prep course, but there are ultimately better options no matter what your top criteria is. The video lessons and video explanations are dynamic and short, making it possible to fit studying for the GRE into a busy schedule. Course diagnostics and the adaptable nature of the program provide a relatively customized approach to studying for the GRE, but this still falls short when compared to the adaptability of something like Kaplan GRE, with its various resources and customizable Quiz Bank. 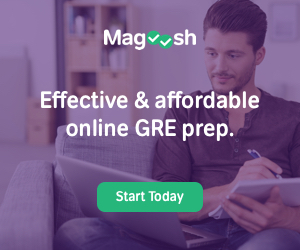 With around 3,000 practice questions and 4 practice tests, this course is fairly-priced at $99 but Magoosh GRE offers a much better course for around the same price. Check out other top GRE courses and you’ll find something that works better for you. COMPARE THE BEST GRE PREP COURSES! Includes: 1 year of course access, Diagnostic Test, GRE Personalized Study Plan, GRE Skill Report, 4 full-length tests, 100+ video lessons, 1000+ video solutions, 3,000+ practice questions, 3-day Money Back Guarantee. When looking at an option like Barron’s—which is admittedly budget-oriented and offers a limited lineup—it can sometimes be helpful to compare it directly with a more comprehensive course. That way you can better tell whether you’re getting a good deal on the product or just paying less for something that shouldn’t be worth as much anyway! For this purpose, I’ll do a quick breakdown comparing Barron’s with the Princeton Review, historically one of the biggest names in test prep and my #2 ranked GRE course. Obviously, Barron’s only provides one option for online review, so I’ll restrict this comparison to the Princeton Review’s Self-Paced Online class. At $499, the Princeton Review’s course is nearly five times as expensive, but the question is: does it offer five times as much? The short answer is, yes…but let’s dig into the details a bit to see why that is only barely the case. 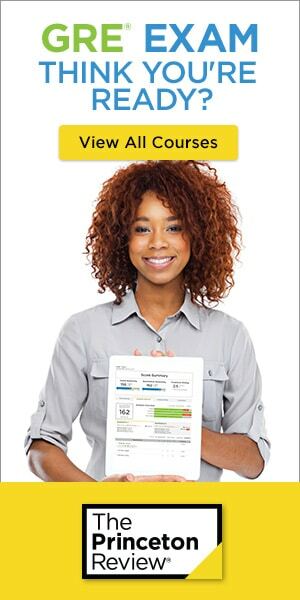 The Princeton Review’s Self-Paced plan gives students access to 8 fully adaptive computer practice exams with interactive score reports. This compares with the 4 practice tests from Barron’s, but the real difference maker is the level of interactivity. The Princeton Review provides a higher quality of reactive study materials with a more sophisticated algorithm. While Barron’s will assess your skill level and adjust your experience accordingly, the Princeton Review’s DrillSmart technology combines with its professional interactive video lessons to really give the feeling that you’re being taught by someone, not by a computer. The Princeton Review also has options to expand your test prep with live support and opportunities for interacting with instructors. Barron’s provides students with a decent option on a budget but if you want to put some extra time into your prep and are willing to dedicate a little more money and attention, then Princeton Review is a much better option. You can check out my full review of the Princeton Review GRE for an in-depth look at their superior options.